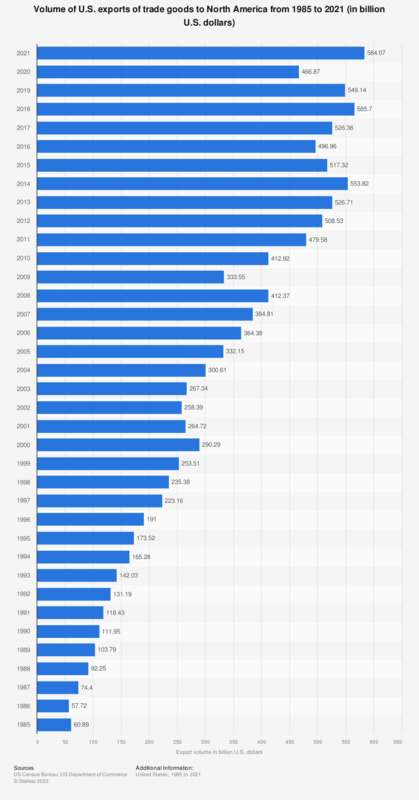 This graph shows the growth in the U.S. export volume of trade goods to North America from 1985 to 2018. In 2018, U.S. exports to North America amounted to 563.74 billion U.S. dollars. Goods are Merchandise, supplies, raw materials, and products or any other item identified by a Harmonized System (HS) code.